Where Are We Now With Collaborative Robots? A decade ago, collaborative robots were generally thought of as an "interesting idea" but not a real solution for businesses. People thought that they were too slow, too imprecise, and too small for any real applications. Fast forward to today and cobots are no longer just an "interesting idea." They are now an accepted solution. The age of cobots has arrived. 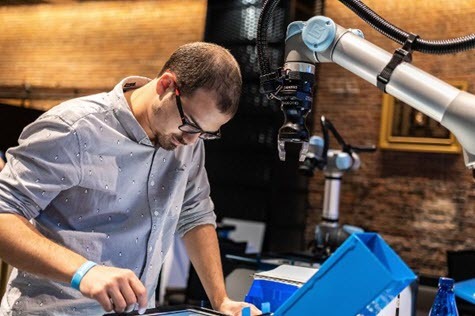 Our friends at Robotiq have written a blog entry on the current state of collaborative robots and how we got to this point. Check it out.